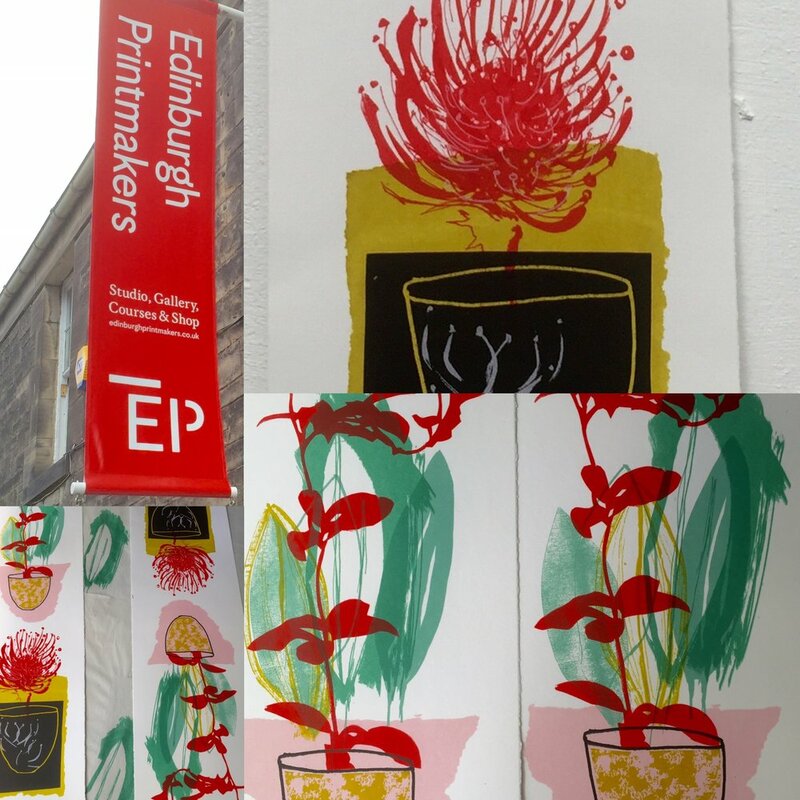 As a member of Edinburgh Printmakers Workshop, Lorna produces her original screen prints on lovely, thick, off white Italian printmaking papers with a slight texture and deckled edges. Her love of colour and layering are most apparent in these pieces. The water based inks have a lovely chalky quality and work extremely well on the Fabriano paper. She produces small editions of 12 prints or less; each print is a different configuration or a variation of the one before and are numbered, signed, titled and dated in pencil at the bottom. All her prints are created entirely by hand, from initial drawings, mark making and photographic elements, mixing of the inks, to the actual pulling of the ink across the silk screen onto the finest paper. Every edition is very small, so you are buying something unique and of the highest handmade quality.